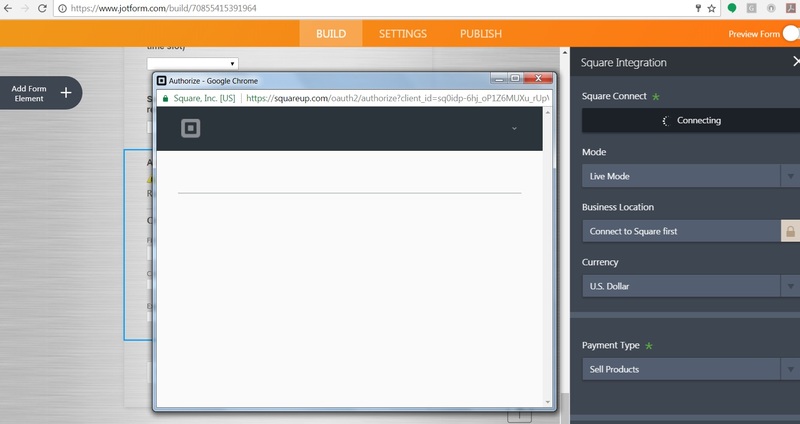 The Square payment widget won't connect to the Square website when using the set-up wizard. We've entered our Square email and password, but the form never actually connects. I've double checked the email and password on Square's website, so I know it's correct. Is there an issue with connecting to Square, or are we missing a step? That window on your screenshot should be the authentication process in itself to be able to integrate your form with Square. So what should happen there is that after logging in, it should authenticate right away and the window should disappear. Can you try clearing your browser's cache and then try again authenticating your form with Square and see if the problem persists? So far on my end, I have not encountered any problem.